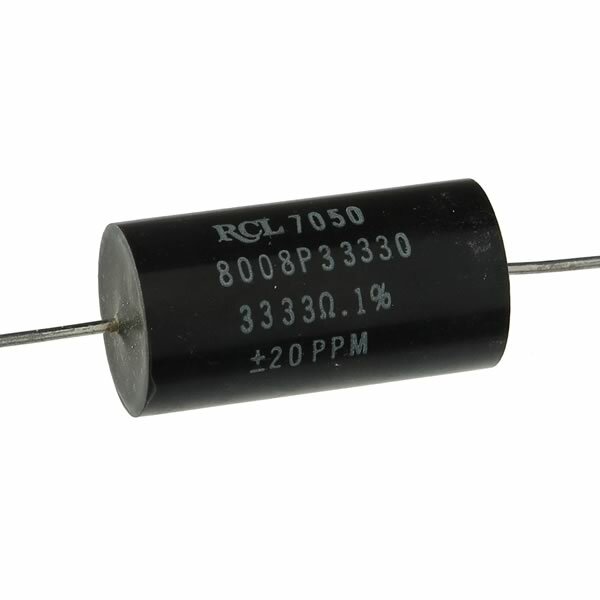 Axial lead 1Watt ultra-precision resistor is rated 3,333Ω at 0.1% (not 1% as 0.1% which is much more precise) ±20PPM. Maximum volts is 600. Size is 0.5" diameter x 1" long. Has full length axial leads. Great for calibrating extremely accurate lab equipment.